This practise experience I had completed while working as a health care assistance in three different care homes. There were several duties which included like attending on the elderly patients comprising of feeding these patients, washing them, along with attending to their needs and groups. This also included reading with the elderly patients and playing games with them along with singing and dancing so that help could be provided to them for their prevailing health conditions. While working with these patients I had to make sure that they remained happy at all times, also had to help them to cope up with their loss of memory. I also made sure to help them maintain their dignity in addition to self-respect and general care. Apart from this, there was times I had to help these patients to recover from stroke or nay kind of general illness and supportive. Apart from working in the hospital in the palliative care setting, I also was engaged in working in the prison, where I had to conduct general observations for the inmates of the prison especially for those who want to commit suicide. For these inmates, it was my duty to record all their actions in which they are involved and additionally make sure that they do not get access to such things which can cause them injury. During my period of practise, I also had experience working with patients suffering from bipolar diseases and dementia and similar other psychological disorders. My curriculum vitae covering my experiences along with the timeline is provided in the appendix. Presence of transferable skillscan be identified which include a range of skills as well as experiences that are quite valuable to the healthcare along with the healthcare organizations. During my tenure of practise, the transferable skills which I could identify as to possess were caring for people, people skills and organising and managing. In terms of caring for people, transferable skills were involved incaring for the elderly and the disabled patients who required additional care. While working in the prison, the skills also required provision of care to the inmates and monitoring of their actions (Kitson et al. 2013). Transition skills also included the people skills that came from previous experiences of working with different people by performing a caring and advisory role. I am a people person and love to help the patients as well as their families and try to support them and make them comfortable. Working as a part of the healthcare team as well as working in the community either in a multidisciplinary team with social workers, in a small team in a GP surgery or clinic, or working one to one with patients in their own homes.Transferable skills like effective hand washing were present as it was part of the care giving to the patients. Importance of these skills lie in the fact that having this skills helps in better critical thinking skills as it is important or a nurse plays the role of an in-charge. This also helps the nurse to adapt to the unpredictable conditions that might prevail while giving help to the patient. While working especially with the elderly people and the inmates of the prison, there were times when it was required of me to meet the emotional and the psychological needs to the patients (Robson et al. 2013). In case of the elderly patients because of their physical disability, there are times that they suffer from depression. In such cases it is my duty to help these patients overcome this condition. In the case of the inmates of the prison, they often suffer from suicidal tendencies. In such case the emotional and the mental health needs of these individuals are required to be attended to so that they can be prevented from taking their own lives. Tending to address spirituality in the medical and mental human services of the older adults around the world, especially those with endless ailment, inability, issues adapting has picked up a considerable measure of significance as of late. This has been driven by the vast and regularly developing proof base demonstrating an association between religious/spirituality (R/S) contribution and numerous parts of mental and physical wellbeing in later life. The need of including spirituality is essential since for these individuals religion goes about as an impacting power. Secondly, R/S convictions and practices are regularly used to adapt to misfortune and change in later life, especially declining physical wellbeing and expanding reliance, which medicinal medications might be less successful in turning around (Rogers and Wattis 2015). These progressions present existential difficulties in connection to character, trust, which means, reason throughout everyday life, and independence or connectedness – issues that many view as otherworldly in nature. Thirdly, there is developing proof that demonstrates religious inclusion is identified with better physical wellbeing and more prominent prosperity in middle-age and more established grown-ups, and in addition more social help and positive wellbeing practices and better treatment consistence. A long term relationship ought to be set up with patients before incorporating otherworldliness into restorative or mental consideration (Ruder 2013). The individual narratives of the patients who are suffering with illness led to an impact on me by their interaction. The palliative care practice helped to create both the opportunity and the responsibility so that I could to bear witness, join with, and contain bias and judgment as professionals work with patients in order to understand their values and personhood in the face of illness. Of this interface, one important element was the awareness of the role of the personal schemas along with biases, and the assumptions which could play as well as recognize that the values play a role to infuse healthcare systems with the institutions and thereby impact the experience of illness of the patient. Vigilance along with affectability prompts the upgraded chances to look at language and associations and to find roads toward patient-focused consideration that may be more receptive to and conscious of individual encounters. Hypothetical structures created to educate this procedure are depicted. Past the hypothetical and useful reasoning around these issues, social insurance experts can advance their training and make important commitments that respect patients as entire people in their sickness ventures (Cullen 2016). The experience of patient or service user emotional or mental health needs involves overseeing that that people have access to treatments that are effective and safe. Additionally this ensures the manner in which administrations are assessed, how individuals' issues are evaluated, how referrals between various segments of wellbeing frameworks are overseen, aftercare courses of action, and the procedure of release all have a critical impact in administration clients' general understanding of the consideration they get (Rahimi et al. 2013). This is similarly valid for clients of emotional well-being administrations where the arrangement of fitting data and support over the consideration pathway is a fundamental piece of conveying a great administration. Poor social and economic circumstances affect health throughout life. People further down the social ladder usually run at least twice the risk of serious illness and premature death as those near the top. Nor are the effects confined to the poor: the social gradient in health runs right across society, so that even among middle-class office workers, lower ranking staff suffers much more disease and earlier death than higher ranking staff. Stressful circumstances, making people feel worried, anxious and unable to cope, are damaging to health and may lead to premature death. Social and psychological circumstances can cause long-term stress. Continuing anxiety, insecurity, low self-esteem, social isolation and lack of control over work and home life, have powerful effects on health. Such psychosocial risks accumulate during life and increase the chances of poor mental health and premature death. Long periods of anxiety and insecurity and the lack of supportive friendships are damaging in whatever area of life they arise. The lower people are in the social hierarchy of industrialized countries, the more common these problems become significant (Farquharson et al. 2013). Knowledge about how people’s social circumstances impact on their health and well-being is important for providing nursing care since this has an impact on the type of nursing that is provided. In cases where the social determinants are seen to be weak, we as nurses try to provide compassionate care and in closed environments to make sure that the patient is the getting the best possible care. The ways compassion can be shown to the patients involve being empathetic, listening carefully to the patients, being positive towards others, proper interaction and socialization and finally checking in on the patients every now and then. We as nurses need to recognize our own qualities and expert morals. Individual qualities are what we hold huge and valid for ourselves, while proficient morals include rules that have general applications and guidelines of lead that apply in all circumstances. We need to collect these center qualities and follow them to the best of our capacity. Amid the several events, we have to recall why we should chose to end up as a nurse and our vision with respect to what we need to accomplish (Nåden et al. 2013). We should put the consideration of others first and to treat everybody similarly. A man who picks nursing as a calling settles on a decision that will influence them for a lifetime. We as nurses consequently abstain from enabling individual judgments to cloud our choices with respect to customer care. We should be straightforward and reasonable with customers and act to their greatest advantage while demonstrating most extreme regard for them. We who are new graduates and are entering the workforce additionally should be set up to take part in the complex basic reasoning abilities and create adequate socialization aptitudes to manage the colossal physical development in innovation and duties expected in the calling (Zoboli and Schveitzer 2013). Skills that I had developed and which could be transferred into the course and nurse training involved compassion and empathy, strong communication skills, customer services and grace under pressure. While my period of practise, my seminary training along with good counselling experiences helped to sharpen some of my strengths like empathy and compassion especially for the poor and troubled. Additionally improvement occurred in good listening skills, and an understanding of different cultures and especially a respect for teamwork that helped me to make a better nurse. It should be noticed that talking plainly and listening carefully are major transferable skills that are basic for individuals who would like to be at the bedside giving quality social care. It is essential that the medical caretakers must convey successfully with patients, as well as with doctors, supervisors, associates and patients' families. The capacity to give precise and accurate documentation is additionally imperative in healthcare services. The experience of working made me a good server so that I could organise as well as multitask. Like good front-line healthcare workers, I also tried to provide satisfactory customer service. I also accumulated several skills in order to bear the pressure of the high-stakes healthcare job especially in the emergency departments (Fong 2016). Caring is best demonstrated by a nurse's ability to embody the five core values of professional nursing. Core nursing values essential for education include human dignity, integrity, autonomy, altruism, and social justice. Altruism is the capacity to be sacrificial and rather have a commitment to the welfare of others. In the nursing calling, the medical caretaker gives love and shows thoughtfulness to her patient as well as for herself. A medical caretaker must keep up tranquillity inside herself when with a patient so as to completely bolster and give security to their patient (Chinn and Kramer 2013). This is also imperative for the medical caretaker to stall burnout and stretch which may stop them completing their obligation viably. With a specific end goal to get and secure these humanistic-charitable qualities, the medical attendant must display unending adoration, generosity and mental mindfulness consistently. Selflessness is basic in opening a medical attendant's sympathy and compassion thusly making a more positive and recuperating condition for the patient. Self-sufficiency in the medical caretaker quiet relationship nursing gives the patient a privilege to educated assent. The medical attendant gives his patient the actualities on his condition and exhorts him on the accessible recuperating choices in addition to any fundamental repercussions (Fain 2017). The patient at that point has the privilege to experience the technique or not. The nursing calling requests nobility for all patients. All individuals are equivalent and they warrant a similar treatment paying little respect to any outside elements. The rule of human poise agrees the medical caretaker the obligation to regard all patients as they would treat their very own friends and family if they somehow happened to think about them. Nurses fit in with the standards of acting truly, decently, and morally while adhering to their job of thinking about the destitute. They should hold each other to the most astounding measures of demonstrable skill and moral direct (Jones 2013). Medical caretakers should additionally be straightforward to their partners in the calling and to the individuals who depend on them. Nurses are required to maintain opportunity of decision in their patients' consideration, while not trading off their poise. Attendants attempt to advance their customers' best advantages and endeavor to accomplish the best results. Usefulness involves medical attendants advancing useful for the patient. Medical attendants are likewise required to act in non-perniciousness way to staying away from damage to their patient (Brown et al. 2015). From the above discussion it can hence be concluded that we as nurses need to preserve our own integrity that can be developed through our practise and training. Progressing instructive capabilities and staying up to date with new innovation are fundamental to accomplishing both individual and expert development. We are therefore required to take course units consistently to keep up to date and stay pertinent. Continuous investment in the advancement of the calling through research additionally raises the profile of submitted nurses. The medical attendant is capable and responsible for designating assignments reliable with ideal patient consideration. We should work along these lines and work in a joint effort with other medical service specialists to guarantee patients get the best treatment even in her nonattendance. 1. Brown, S.S., Lindell, D.F., Dolansky, M.A. and Garber, J.S., 2015. Nurses’ professional values and attitudes toward collaboration with physicians. Nursing Ethics, 22(2), pp.205-216. 2. Chinn, P.L. and Kramer, M.K., 2013. Integrated Theory & Knowledge Development in Nursing-E-Book. Elsevier Health Sciences. 3. Cullen, J.G., 2016. Nursing management, religion and spirituality: A bibliometric review, a research agenda and implications for practice. Journal of nursing management, 24(3), pp.291-299. 4. Fain, J.A., 2017. Reading, understanding, and applying nursing research. FA Davis. 5. Fallows, S. and Steven, C., 2013. Integrating key skills in higher education: employability, transferable skills and learning for life. Routledge. 6. Farquharson, B., Bell, C., Johnston, D., Jones, M., Schofield, P., Allan, J., Ricketts, I., Morrison, K. and Johnston, M., 2013. Nursing stress and patient care: real?time investigation of the effect of nursing tasks and demands on psychological stress, physiological stress, and job performance: study protocol. Journal of advanced nursing, 69(10), pp.2327-2335. 7. Felton, A. and Royal, J., 2015. Skills for nursing practice: Development of clinical skills in pre-registration nurse education. Nurse education in practice, 15(1), pp.38-43. 8. Fong, C.M., 2016. Role overload, social support, and burnout among nursing educators. Journal of Nursing Education, 29(3), pp.102-108. 9. Iacobucci, T.A., Daly, B.J., Lindell, D. and Griffin, M.Q., 2013. Professional values, self-esteem, and ethical confidence of baccalaureate nursing students. Nursing ethics, 20(4), pp.479-490. 10. Jones, E., 2013. Internationalization and employability: the role of intercultural experiences in the development of transferable skills. Public Money & Management, 33(2), pp.95-104. 11. Kitson, A., Marshall, A., Bassett, K. and Zeitz, K., 2013. What are the core elements of patient?centred care? A narrative review and synthesis of the literature from health policy, medicine and nursing. Journal of advanced nursing, 69(1), pp.4-15. 12. Nåden, D., Rehnsfeldt, A., Råholm, M.B., Lindwall, L., Caspari, S., Aasgaard, T., Slettebø, Å., Sæteren, B., Høy, B., Lillestø, B. and Heggestad, A.K.T., 2013. Aspects of indignity in nursing home residences as experienced by family caregivers. Nursing Ethics, 20(7), pp.748-761. 13. Rahimi, A., Anoosheh, M., Ahmadi, F. and Foroughan, M., 2013. Exploring spirituality in Iranian healthy elderly people: A qualitative content business analysis. Iranian journal of nursing and midwifery research, 18(2), p.163. 14. Robson, D., Haddad, M., Gray, R. and Gournay, K., 2013. 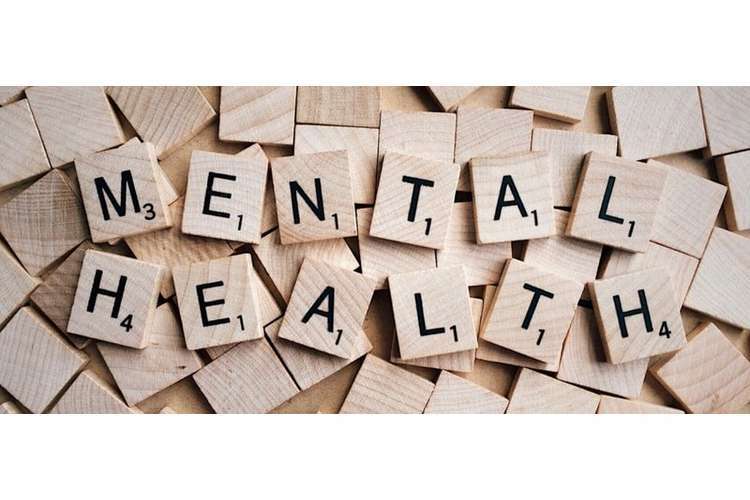 Mental health nursing and physical health care: A cross?sectional study of nurses' attitudes, practice, and perceived training needs for the physical health care of people with severe mental illness. International Journal of Mental Health Nursing, 22(5), pp.409-417. 15. Rogers, M. and Wattis, J., 2015. Spirituality in nursing practice. Nursing Standard, 29(39), pp.51-57. 16. Ruder, S., 2013. Spirituality in nursing: nurses' perceptions about providing spiritual care. Home Healthcare Now, 31(7), pp.356-367. 17. Zoboli, E.L.C.P. and Schveitzer, M.C., 2013. Nursing values as social practice: a qualitative meta-synthesis. Revista latino-americana de enfermagem, 21(3), pp.695-703.